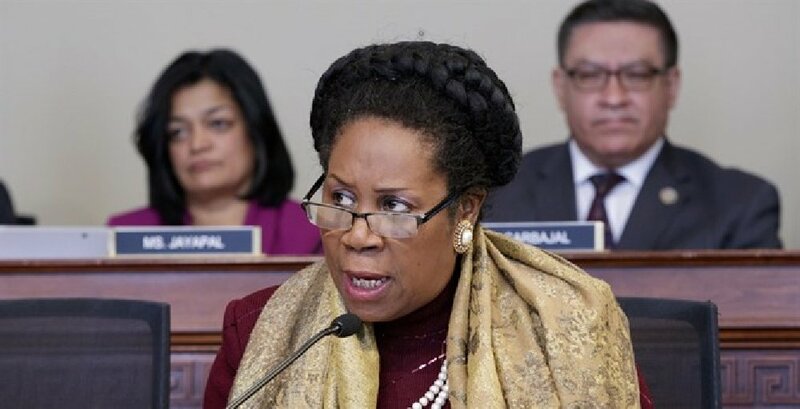 Earlier this week, Sheila Jackson Lee was caught on a United Airlines flight where a lesser peon was bumped out of first class so the distinguished lady from Texas could take the seat. The Texas representative has a long history of outbursts and arrogance, pulling stunts like making her staff drive her a single block to her destination. She uses her position of power and her black woman status to get away with just about anything. She’s also been accused of calling her employees, “you stupid motherf***er,” while referring to herself as a queen. “You don’t understand. I am a queen, and I demand to be treated like a queen,” she was quoted saying in 1998. This is a moonbat who needs to be thrown out of Congress yesterday. The laundry list of awful things this woman has done is astounding. She lived a few minutes walk away from her Cannon Building Capitol Hill office, but she still insisted on getting a ride to work everyday. Her ride once blocked traffic for 20 minutes while she took a phone call. This seat that she stole from this lady is the latest entry of a long list of questionable behavior. All to the tune of $174,000 salary that the taxpayers are forced to give her along with aides and servants. Here’s hoping the Democrats run her in 2020 against Trump. Just pathetic, time to drain the swamp.